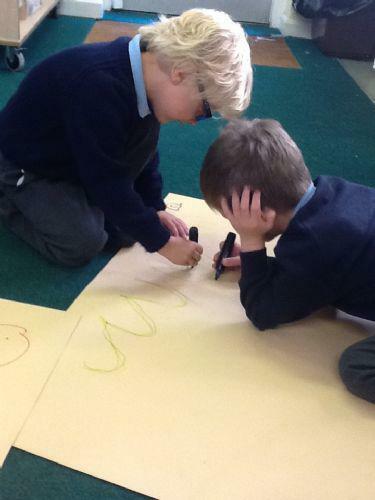 Making story maps to help us retell events in the right order. We predicted what had happened to Billy's bucket. Billy's Mum visited our class and we shared our ideas with her. 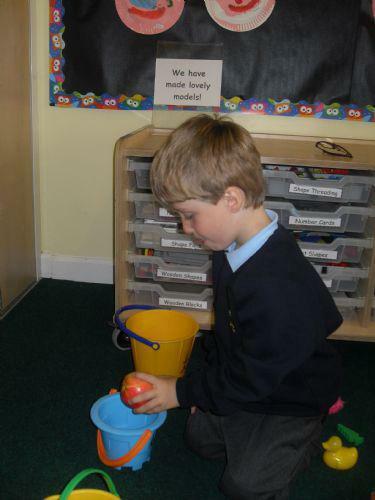 The YR children sorted objects into buckets according to their initial sound. 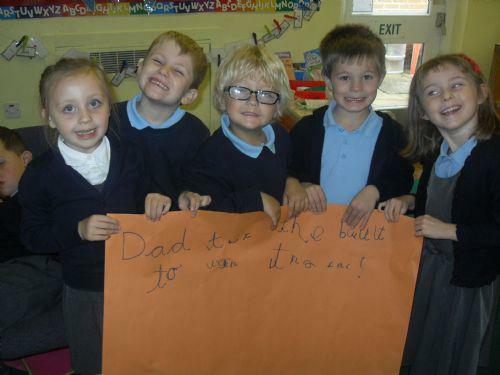 We used describing words to describe what we found in Billy's bucket.